Moms love fun Mother's Day gifts, people! 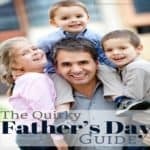 Mother's Day is around the corner, and if you are looking for fun and unique gifts for your favorite moms out there, we have some fun mother's day gifts for you. 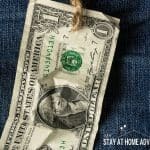 Keep in mind that these Mother's Day gifts listed below are on sale for less than $25, and if you want to take advantage of these fun Mother's Day gifts, you need to act fast. If you are tired of giving moms the same thing for Mother's Day, why not try giving something she never had before? Laughter is good for the soul so why not give mom a fun gift she is going to remember and will help her soul? Ok that kind of sounded odd, but you know what I mean! Before we begin let's make clear that these items are under $25 bucks and are pretty affordable. If you are interested in this items simply click the link b or the photo and it will take you to the site to purchase them. 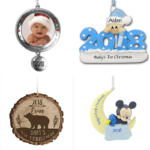 9 Best Christmas Gifts For Moms That Are FREE! The prices are subject to change so please be aware of it. A tip I will give is to not wait until the last minute to purchase the item you want to get your mom. If your family has a Mother's Day gathering like we do, then this will be the best thing to get because it screams fun, my friends! 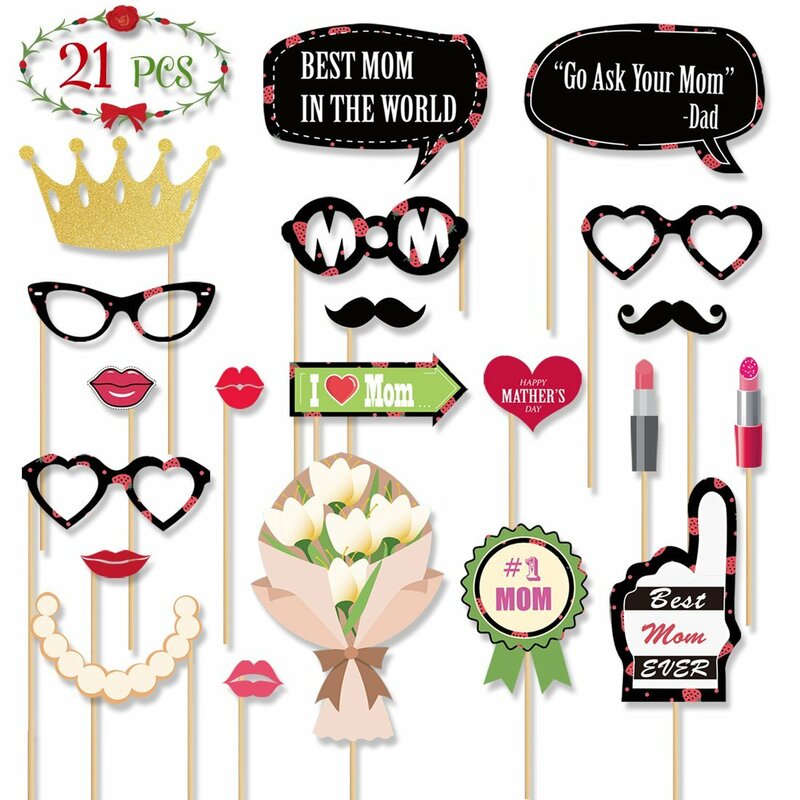 Create memorable photos using this Mother's Day photo props! Have you seen this? Look how cute this mug is!! I want! What makes this mug so cute? It's called the Morning Mug. When the mug is cold, the mug shows a sleeping face. 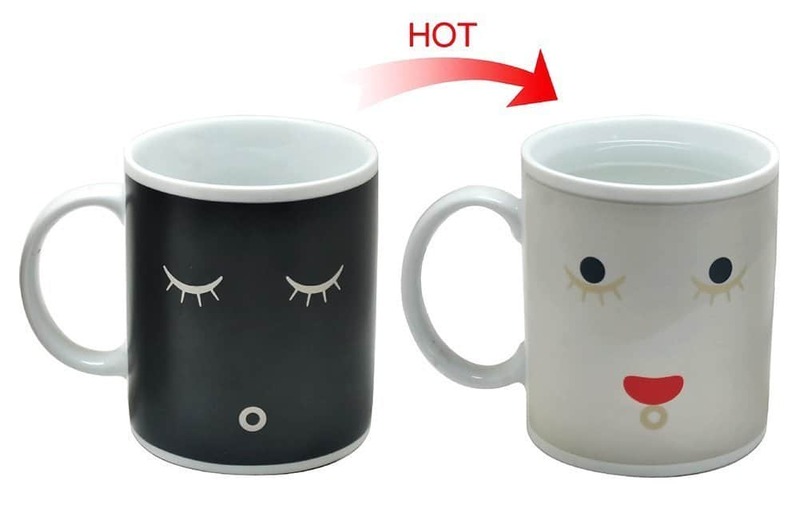 When the mug is hot, the mug wakes up. How cute is this! This super cute mug holds 9 oz. This the perfect gift for moms with a sense of humor. 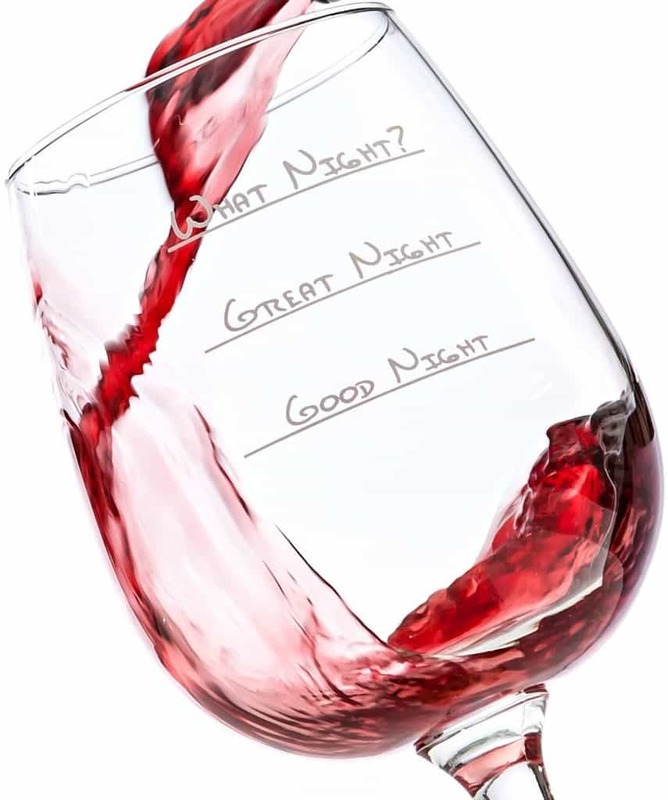 THE BEST NOVELTY WINE GLASS ON AMAZON – Choose a good night, a great night, or one so fun it's a blur the next day! Make a statement at the next get-together just by taking a sip! Check out this fun gift for mom here. This brings back childhood memories from Puerto Rico. This plant, known to us as Morir-Vivir plant, moves when you touch it. It’s a really interesting thing to watch. 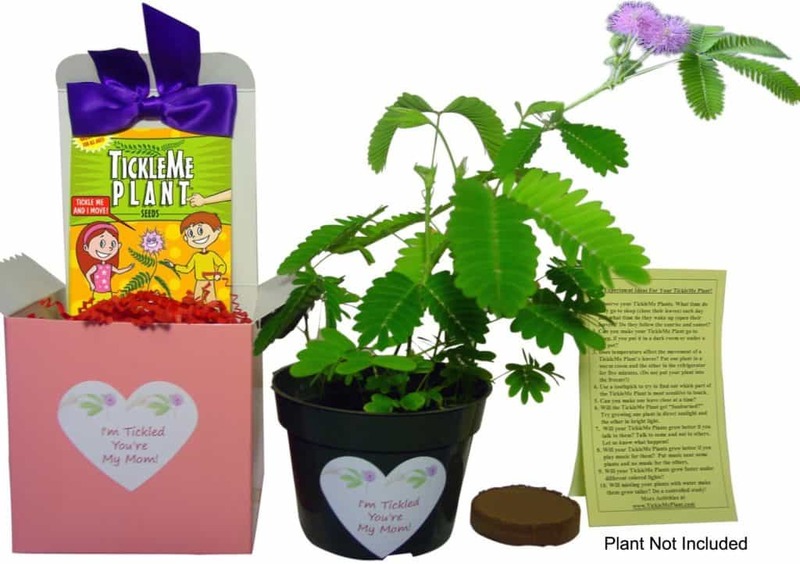 It comes as a gift box that includes everything needed to for the TickleMe plant to grow. The gift box has a pack of up to 20-seeds, a flower pot, an expanding soil wafer and simple growing instructions. 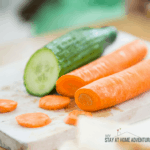 In addition, you get some fun ideas for making the most out of your TickleMe Plant. I personally have this Dear Mom mug and it was given to me for my birthday this year and had me laughing even til this day. The Dear Mom is a ceramic coffee mug is a great gift idea for a coffee or tea lover, packed in a durable gift box and guaranteed to arrive safely. 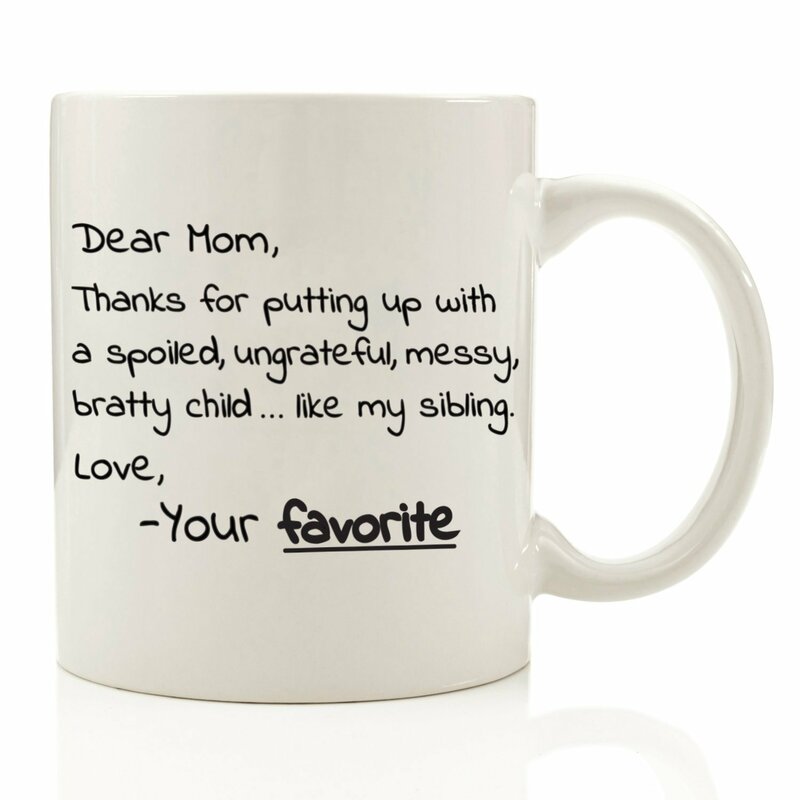 This is a hilarious gift your mom is going to love! 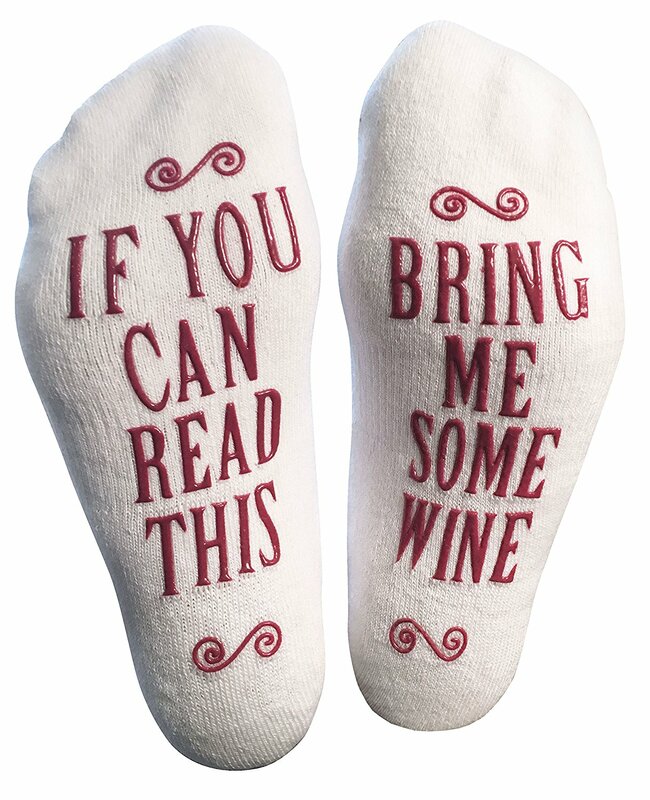 This “Bring Me Some Wine” Novelty Socks are a fun gift idea for Mother's Day to keep in mind! 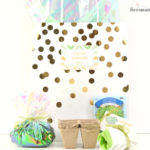 These fun Mother's Day gifts will sure make this Mother's day a fun one full of joy and laughter. Remember that is not about the price is about the memory you create this Mother's Day! This fun Mother's day gifts are affordable and memorable. 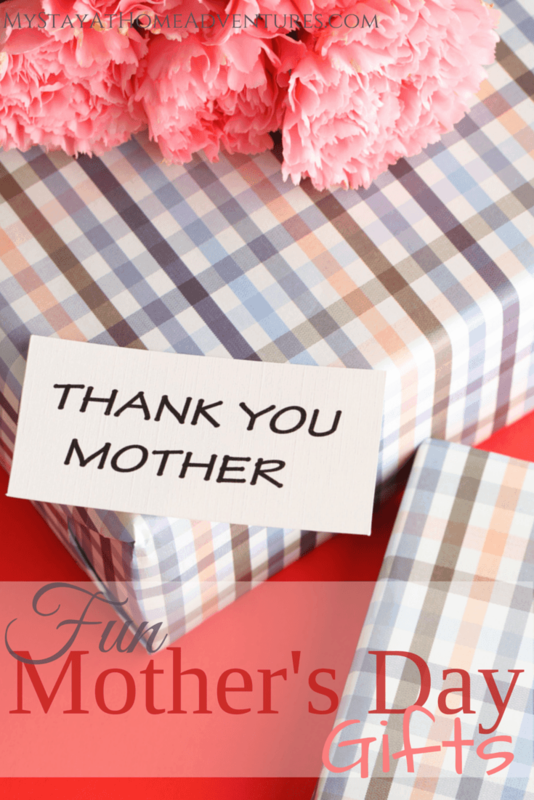 You don't have to spend tons of money to make mom happy. A simple gift full of love will make your mom a happy one this Mother's Day. Now your turn: What other fun Mother's Day gifts have you given before? What are your tips and ideas? Share it with us! 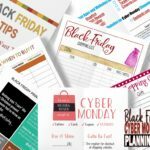 Free Black Friday Cyber Planning Kit Today!